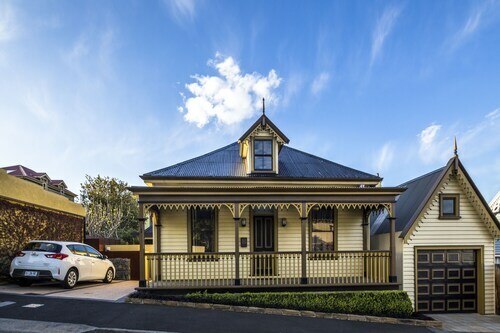 Located in Hobart Central Business District, this luxury cottage is within 1 mi (2 km) of Penitentiary Chapel Historic Site, Salamanca Market, and Salamanca Place. Constitution Dock and Hobart Cruise Terminal are also within 1 mi (2 km). Glebe, a neighbourhood 0.9 kilometres north of central Tasmania's state capital, Hobart, is somewhere you should see while in town. If you are spending time in Hobart, you should check out the Cascade Brewery, theatre Royal and Mt. Wellington. 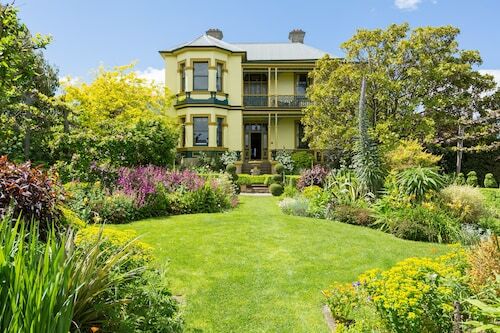 Discovering Glebe and its surrounding area almost always involves exploring the St. David's Cathedral and the Royal Tasmanian Botanical Gardens. Tasman Bridge is a prime example of the growth of fresh, modern architecture in this part of the world. If you'd like to hit the hay nearby, consider The Henry Jones Art Hotel and The Corinda Collection. The reds and whites made at Sullivans Cove illustrate the area's climate and grape varietals. Sample a few blends to see how these factors come together. Consider the Islington Hotel and Somerset on the Pier Hobart to be closer to this attraction. At Wotif, we reckon you have to spoil yourself every now and then. So if you are heading to Glebe and you are in the position to pay a little more, have a gander at the amenities at the 2 on 2. There's no better way to kick off your day of exploration than at one of the wonderful cafes of Glebe. A caffeinated beverage at Central Cafe Bar should start you off on the right foot. 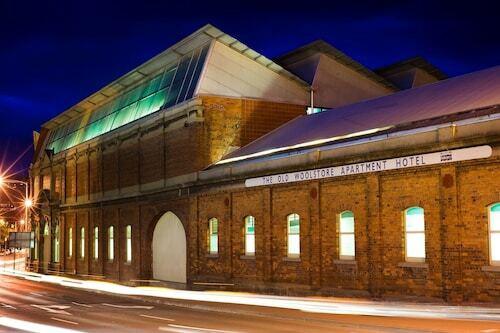 The Old Woolstore Apartment Hotel is a highly recommended dining option here. With all of the delicious meals on the menu, you might need to allow some time for a return visit. No worries if you cannot find the ideal Glebe hotel room. You will find more accommodation options in the North Hobart hotels guide and the Wotif Hobart hotels guide. North Hobart is around 0.8 kilometres from Glebe and Hobart is approximately 0.9 kilometres away from Glebe. Some people spend their whole lives dreaming of exploring this wonderful world of ours. Do not allow this to happen. From flights to activities, Wotif will help turn your Glebe daydreams into experiences. How Much is a Hotel Room in Glebe? 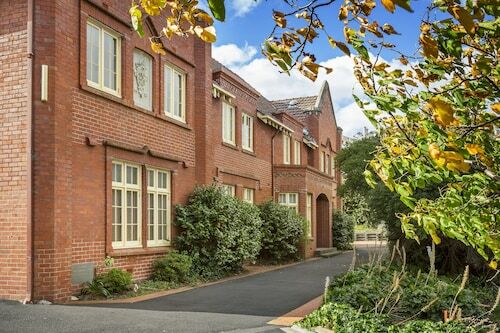 Hotels in Glebe start at AU$139 per night. Prices and availability subject to change. Additional terms may apply.